With 15.6 seconds left on the clock, Robert Covington inbounded the ball to Hollis Thompson who proceeded to throw up what looked a lot like a rushed desperation fadeaway three-point jumper. It went in. The score was tied 100-100. Brandon Jennings dribbled in place to run down the clock and then took a shot so bad that he might as well have just held the ball. Cue overtime. 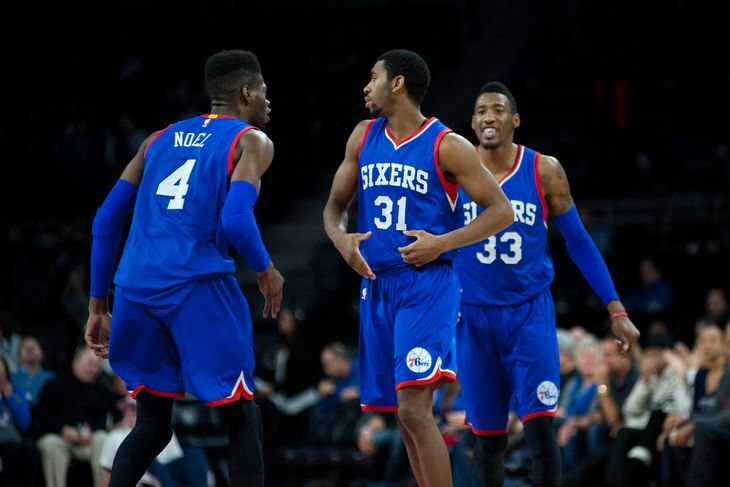 One point was scored in the first three minutes, and it had the Pistons leading the 76ers 101-100. With 1:58 remaining in the game, Henry Sims scored on a jump shot and took the lead for his team. The score remained 102-101 for another minute and a half. In the final 29.9 seconds, the Sixers scored six more points off of a pretty floater by Nerlens Noel and free throws gained from the late-game foul situation. They pulled out the victory, just their second of the season, and brought their record to 2-18 on Saturday, December 6th. Now at 3-18, the Pistons are only one game ahead of this Philadelphia team that has been heralded as historically bad. Granted, the 76ers have been playing some fairly competent ball over the course of the last few weeks. Not good, but competent. They are two for their last three and have only lost one game by more than 10 points since November 21st. Michael Carter-Williams has returned to the court and K.J. McDaniels is playing his way into the team’s future plans. Still, the Sixers are not a good team. Neither are the Pistons. In overtime of that game, Detroit took 11 shots and did not make a single one. If you take the entire effort into account, the team was 1-13 every time anyone threw the ball toward the hoop in any fashion. This includes two free throws and a dunk. She’s mighty mighty, just lettin’ it all hang out. Who knew that an American funk/soul band that peaked in the late 1970s to mid 1980s could have such foresight? 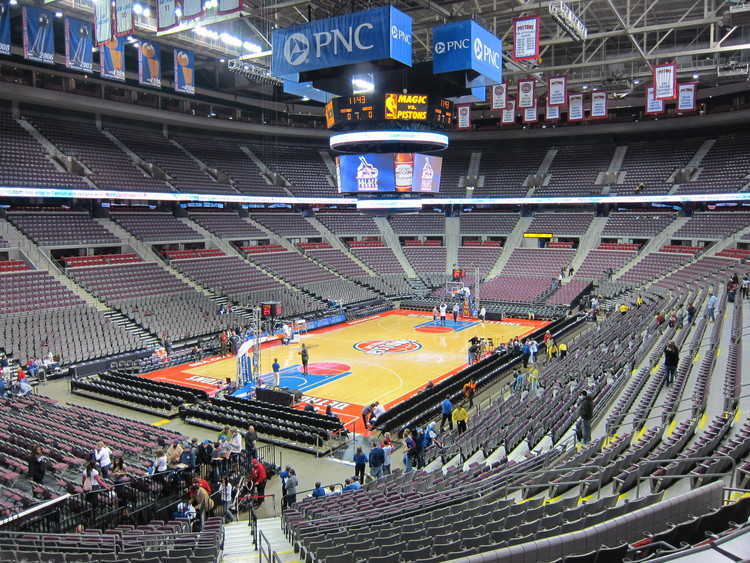 The Palace at Auburn Hills, an arena full of history, was a feared venue for a long time. From the latter half of the Bad Boys era to a return to contention, the team made 16 playoff appearances in the first 21 years after it moved to the Palace. Since then, it has failed to record a winning season and has missed the playoffs five consecutive times. Now with their sixth coach since the 2008-2009 season, the Pistons are once again playing some dismal basketball and are 3-18. People thought that there would be a bit of a turnaround after seeing what looked like Andre Drummond’s coming out party during this past summer’s FIBA World Cup. Unfortunately for fans, that hasn’t been the case, and the team is just two games away from matching its franchise-worst losing streak. The roster still makes no sense. Surprisingly, no other teams could successfully negotiate with Greg Monroe this offseason and he was forced to sign a qualifying offer with Detroit, so the team still has Greg Monroe, Josh Smith, and Andre Drummond. These are three solid players that can basically never play together due to conflicts in position and playing style. If you put them all on the floor together, then you’re going to have a lot of trouble spacing the floor, and you get the small forward version of Josh Smith, which is not a version that you want. It’s just an awkward situation and a confusing group of players. 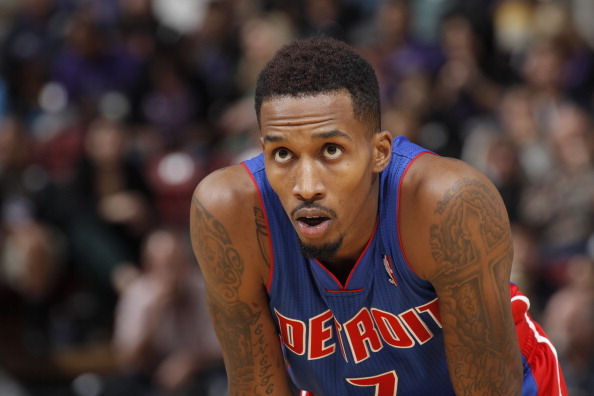 Then there’s Brandon Jennings, a guy who, to say the least, has not worked out as the team would have hoped. This past summer, hoping to fix some of its problems, the front office went out and got D.J. Augustin after his great year as the spark plug in Chicago, and then it signed… Jodie Meeks to a three-year, $19.5 million deal? Welp. Okay. Meeks has yet to play a game. The team is shooting a league-worst 40.7% from the field. Seven of the players are shooting less than 40%, and three of those are starters (Jennings, Smith, Caldwell-Pope). The Commodores in their infinite wisdom predicted all of this 37 years ago. The brick house that they are describing is, in fact, the Palace at Auburn Hills. “She’s mighty mighty, just lettin’ it all hang out.” The Pistons have a very decorated history, and the Palace at Auburn Hills is one of the most famous arenas in all of basketball. With a capacity of 24,276, it is the biggest arena in the NBA and the fourth largest basketball arena in the world. “The lady’s stacked, and that’s a fact.” Often when teams are bad, it’s because they are fielding bad players and/or a bunch of no-names *cough 76ers cough. * That’s not the case in Detroit. Brandon Jennings. Josh Smith. Greg Monroe. Andre Drummond. Caron Butler. These are all names we know. I’m not saying that they’re incredible, but they are players who have known success in this league. Finally, “She’s a brick house. Ain’t holdin’ nothin’ back.” As stated, the Pistons have a collective field goal percentage of 40.7%.Brandon Jennings, Kentavious Caldwell-Pope, and Josh Smith take 12, 14.8, and 12.1 shots per game and are shooting 38.4%, 38.1%, and 37% respectively. They aren’t holding anything back, and they proceed to throw up brick after brick. Okay, so maybe, just maybe the Commodores’ song wasn’t actually about the 2014 Detroit Pistons and the Palace at Auburn Hills. However, you easily could tear down the Palace and build an entirely new arena with all of the bricks that this team is hoisting into the air night in and night out. Brandon Jennings has not been very efficient. Through 21 games, he is averaging 14.2 points off of 4.6 made shots (once again, out of 12) a game. Last week, he went 0-11 against the Celtics, adding to the 2-10 he went the previous day against the Lakers. Against Philly three days later, he went 2-10 again, bringing his three-game line to a resounding 4-31. Unsurprisingly so, he finds himself 80th in player efficiency rating. Amazingly enough, Jennings is still averaging 6.2 assists per game, which is good for 18th in the league. Just imagine how impressive his assist numbers would be if his teammates could actually make shots. But alas, they can’t. He’s just the town brickmaker, passing the brick to his teammates so they can throw it at the hoop. It sure seems like Josh Smith has been in the league forever. He kind of has been (10 years), but he is only 29. If you scroll down the player efficiency rating list 100 names from Brandon Jennings, you’ll come to good ol’ Josh Smith. He slides in at 184th. If you have trouble reading numbers, that’s one hundred, eighty-fourth. Smith’s only real use is on FanDuel, where he currently costs $8,000 and is averaging 32.5 fantasy points a game because FanDuel doesn’t penalize for shooting percentage. In a perfect world, the Pistons could ship him off somewhere else and let the much more efficient and consistent Greg Monroe step in for him. Unfortunately, they were stupid and signed him to a four-year, $54 million contract just last season. He’s getting paid 13.5 million dollars this season and both of the next two. You can bet that no team is going to want to take on that huge contract, especially for a liability player like Smith. Thankfully, his three-point shooting is down to only 1.4 attempts a game. It hasn’t been that low since the 2009-2010 season. He’s taking (somewhat) smarter shots from in close and playing more to his strengths. Still. 184th. Can you believe it? Wait. It gets better. KCP is 284th in player efficiency rating. He’s been starting in place of the injured Jodie Meeks all season and has played a team high 33.8 minutes a game. What? That doesn’t make sense. Oh well. The extremely streaky shooting guard almost literally alternates good games and bad games and fires up 5.6 three-point shots a game. On average, he only makes 1.9 of them. Oof. He is a true brick thrower. The best three-point shooter on the team is… drum roll please… Kyle Singler. That’s a recipe for success. At least KCP has the excuse of not being a real starter, although it remains to be seen if Jodie Meeks will be much better. He is slated to potentially return to action on Friday. 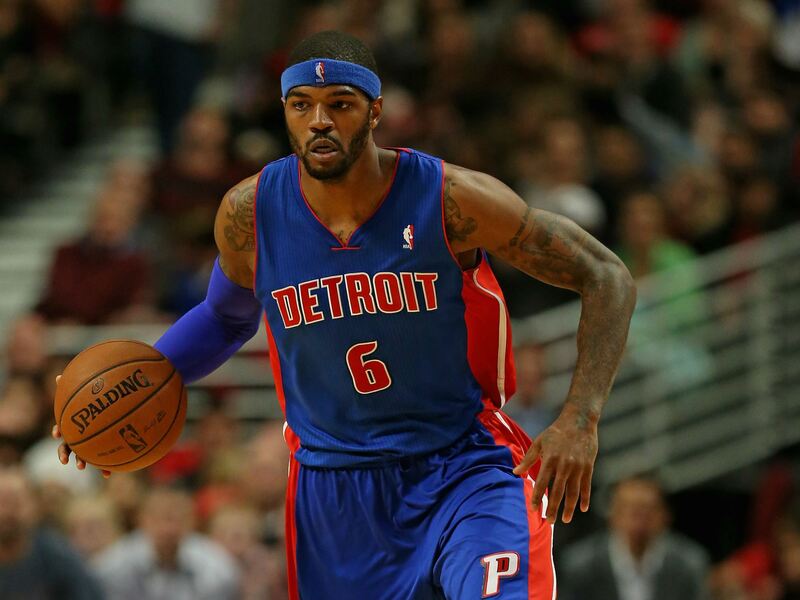 The Pistons – Hapless or Hopeless? 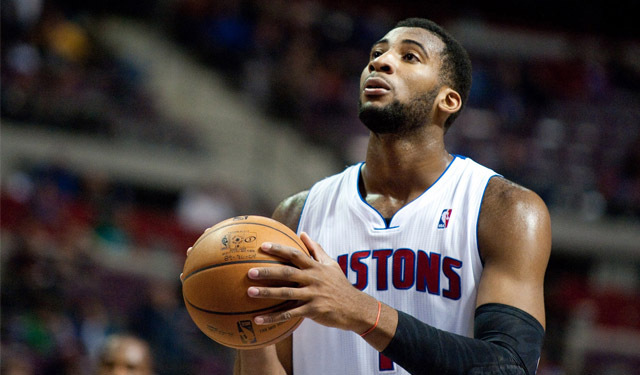 The seemingly endless potential of Andre Drummond keeps a little bit of hope in Detroit. He had a rather slow start to the season, but is starting to get it going. He failed to score above 14 points until November 25th. Since then, he has scored more in five of eight games. He’s also pulled in 94 rebounds across that span. The big man is an athletic freak of nature and he continues to refine his game, but he continues to get into foul trouble. He has a ways to go before he is able to be a consistent threat, and he needs to grow up a bit. Oh, and he’s still a terrible free throw shooter. He’s shooting 45.8% from the stripe, which is incredibly raising his career average of 41%. When you’re looking for hope for the future on the current Pistons roster, you can’t look much past Drummond. Greg Monroe is a great, young player, but he has one year left on his contract and I doubt that he’ll stick around. Jennings is still young, and I suppose he could get better, but his numbers are actually down from recent seasons. Here’s a depressing statistic: Only one player on the roster has a positive +/- on the season, and it’s Gigi Datome, a guy who has only played in one game so far. He only played 12 minutes in that game. Next Monday, free agents that were signed this past summer are eligible to be traded. I wouldn’t be surprised to see the Pistons active on the trading block. Then again, what do the Pistons really have to trade for? They’re not exactly in rebuilding mode. They don’t have the necessary tools or prospects to do that. They’re definitely not anywhere close to win-now mode. It’s going to take a while to get this team back into contention, and it’s going to take a full remodeling. Hiring coach Stan Van Gundy was a good start. The main concern should be contract clearing, but I have trouble seeing them able to deal Smith or Jennings. Hopefully they’ll send Monroe to a team on which he can actually fit and not have to fight for his playing time. So are the Pistons hapless or hopeless? How about both? At least they have a timeless, funky song that describes their current situation. She’s a brick na na naaa na house. Shake it down shake it down shake it down now. This entry was posted in General, NBA and tagged Andre Drummond, Brandon Jennings, Detroit Pistons, Greg Monroe, Josh Smith, Kentavious Caldwell-Pope, Philadelphia 76ers, The Commodores, The Palace at Auburn Hills. Bookmark the permalink.